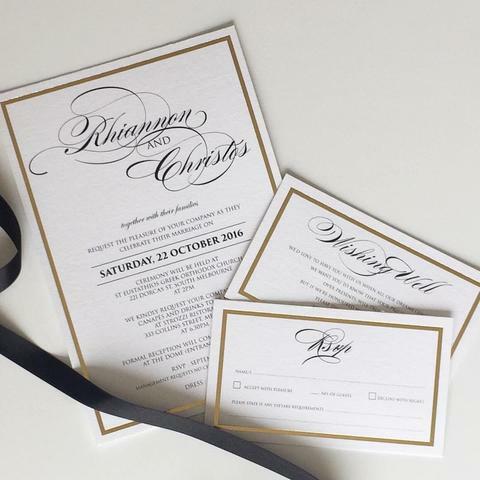 Inspired design offers more than you can imagine or ever need to create unique and wonderful wedding invitations or stationery to suit your style and budget. Inspired Design specializes not only on invitations but place cards, reply cards, thank you cards, bonbonniere cards, place cards, save the date cards, wishing well cards, gift registry cards, menu cards, order of service and any other item you may require. The best in unique design, the finest materials, coupled with high quality print processes such as: Offset – Digital – Photographic – Thermographic – Embossing – Foiling- and new to Inspired Design Old World “Letterpress” Print. Also available is a stunning selection of unique designs created by our very own designers.